For the last couple of years we have made a Thankful Tree, it is one of my favorite traditions, but then it was the Monday before Thanksgiving and I hadn't even thought about the tree and we were out of time. I looked around the house and the heavens opened when I spotted the pack of construction paper I had just purchased for a school project. 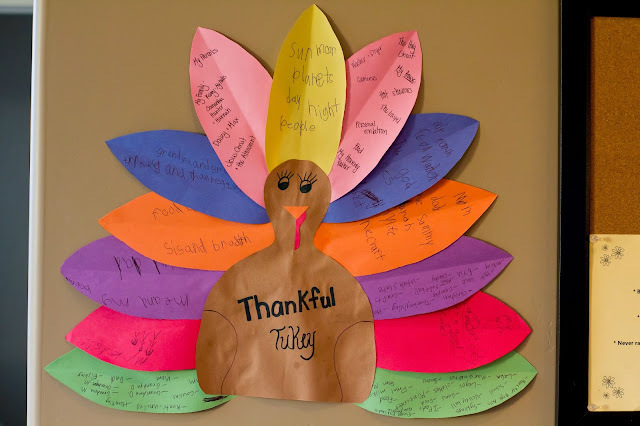 This year we would create a Thankful Turkey. When I had everything cut out and ready Rob said he was actually surprised it looked so great, teach him to doubt my resourcefulness. 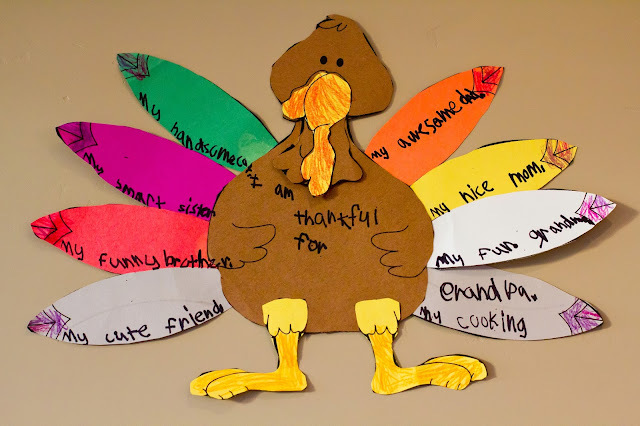 We separated out the feathers and filled those babies up with all the things we are thankful for this year. 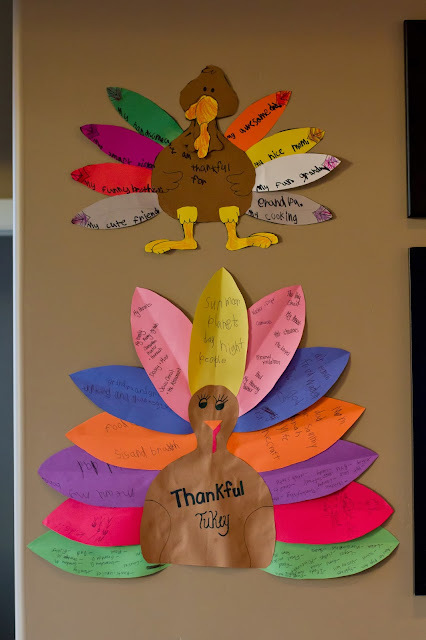 Yesterday Hannah brought home her own Thankful Turkey she made at school and both were hung proudly on the wall, where they have remained despite my best intentions to put up something more festive. But I guess being reminded of a all our blessings for a little while longer is not such a bad thing.